takes a leave of absence from her job as a social worker, and the two of them set off. she meets Matt, Kate can't help but be attracted to him--he's got a combination of good looks and charisma that draw and tug at her. But she knows there's zero chance of a romance between them. Matt's in love with his dead wife, and even if he weren't, Kate realizes that she's way too ordinary for him. For Matt Jarreau is no ordinary guy. Kate discovers that he was once a great NHL hockey player who left the sport when his wife--an honest-to-goodness former Miss America--was diagnosed with brain cancer. Matt's been hiding from people, from God, and from his past ever since. Yet Kate is absolutely determined to befriend him, to try to reach him, to help him in some small way. Matt slowly shift into something more, is God finally answering the longing of her heart? Or will Kate be required to give up more than she ever dreamed? Kate Donovan is burned out on work, worn down by her dating relationships, and in need of an adventure. When her grandmother asks her to accompany her to Redbud, Pennsylvania, to restore the grand old house she grew up in, Kate jumps at the chance. Upon her arrival in Redbud, Kate meets Matt Jarreau, the man hired to renovate the house. Kate can't help being attracted to him, drawn by both his good looks and something else she can't quite put her finger on. He's clearly wounded--hiding from people, from God, and from his past. Yet Kate sets her stubborn heart on bringing him out of the dark and back into the light...whether he likes it or not. When the stilted, uncomfortable interactions between Kate and Matt slowly shift into something more, is God finally answering the longing of her heart? Or will Kate be required to give up more than she ever dreamed? "A beautiful story that proves sometimes falling in love is a matter of faith. 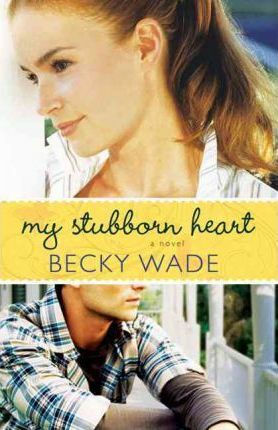 Becky Wade creates characters readers will love." --Lisa Wingate, national bestselling author of Blue Moon Bay and Dandelion Summer "I love finding new authors, and Becky Wade is definitely one to watch. Her debut novel offers romance, laughter, and poignancy. The perfect combination for a night out with you and your book." Becky Wade is a graduate of Baylor University. As a newlywed, she lived for three years in a home overlooking the turquoise waters of the Caribbean, as well as in Australia, before returning to the States. A mom of three young children, Becky and her family now live in Dallas, Texas. Visit her Web site at www.beckywade.com.